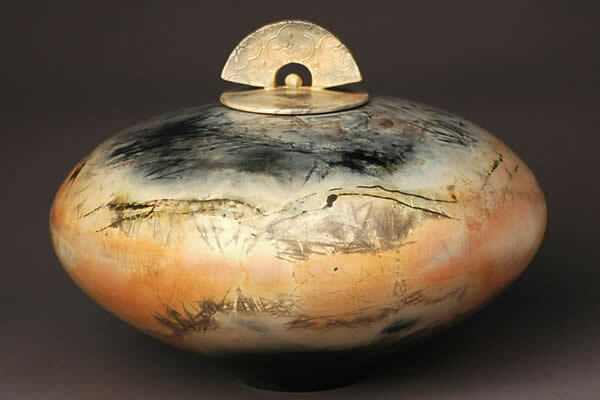 Years ago as a young artist, I encountered the burnished, unglazed pottery of the Southwest Native Americans and the Mata Ortiz of Northern Mexico. 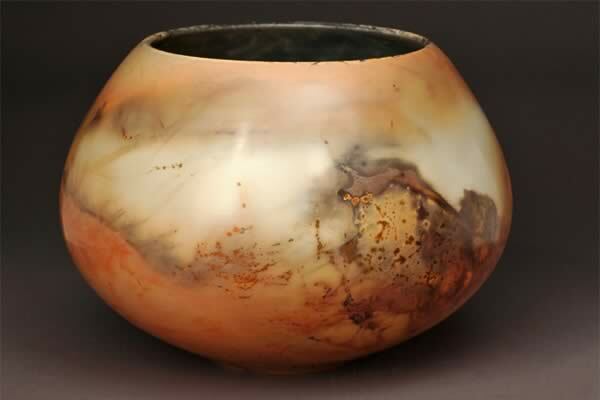 I became completely captivated by the sensual beauty and surface qualities of those timeless vessels and the unpredictable firing processes used to create them. Since that time, I have worked to emulate these fascinating surfaces by using fire to breathe life into my work. I am also inspired by my love of natural beauty - the graceful, undulating curve of an eggplant, the delicate fronds of a woodland fern or the exquisite beauty of a humble seed pod. 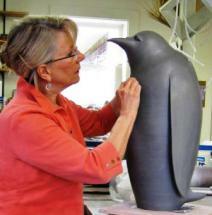 With each piece, I am interested in finding a subtle balance between strength of form and sense of presence. Creating this kind of work brings great joy and satisfaction in the making of the pieces and the gathering of the combustible materials used in the firing processes. My work continues to evolve as I search for ways to enrich the surfaces of my vessels, creating forms that become canvases for painting with fire. 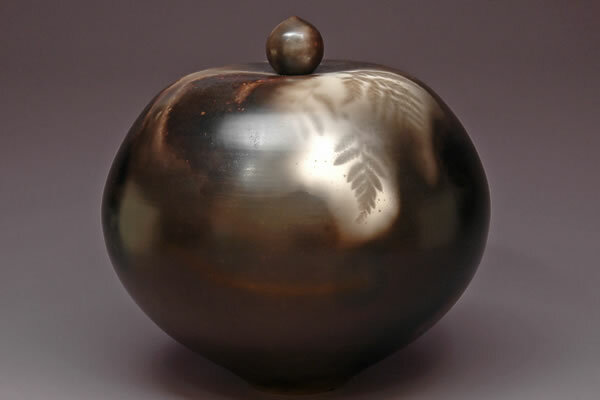 Each piece, with its' simple lines and generous curves, has been richly marked by smoke and flame. It is my hope that my vessels fill the viewers with a sense of mystery and wonder, drawing them beyond the soft light of the clay's surface and into a landscape infused with exciting visual textures and subtle patterns of colour and earthiness. 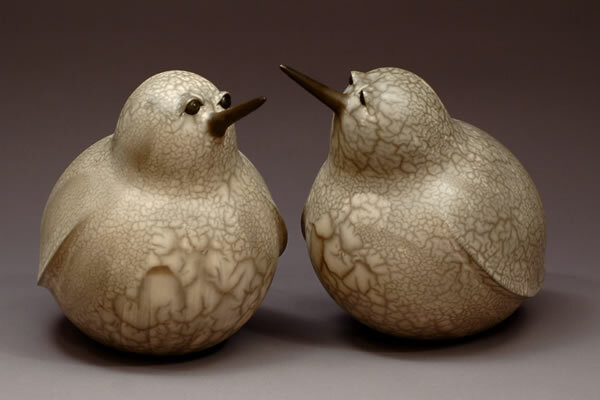 Enjoy the elegant forms and birds and the dynamic surfaces of Canadian ceramist Judy Blake. 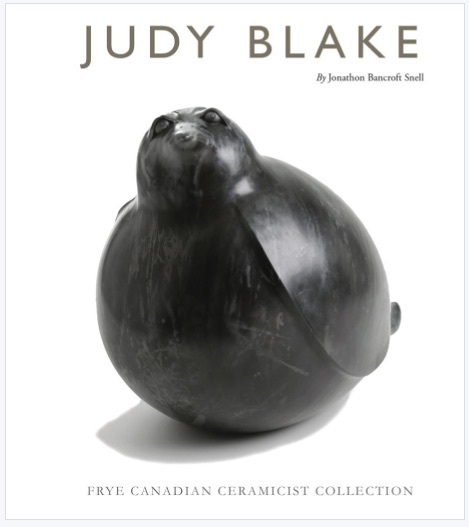 Just a note to let you know about a recently published book, titled "Judy Blake", which is written by Jonathon Bancroft-Snell, owner of Canada's largest Ceramic Art gallery.